Every human when born is by nature a sinner in rebellion against the God and Father of Jesus Christ and enters the world under God’s wrath and condemnation, apart from Jesus Christ (Rom 1:18). No human can, by one’s own endeavors, do anything to escape God’s wrath, nor does anyone have a moral ability to do anything that might endear one to God and attract his favor (Rom 3:9-20). There is one alone who has the authority to render a verdict of acquittal for sinners, and that is God, who justifies the sinner on the basis of Jesus Christ, the obedient one, who voluntarily gave himself up to die the death of the sinner and criminal in order that we might be released from God’s wrath. God’s righteousness, that is his loyalty to the promise he made long ago to Abraham, is revealed from heaven in Jesus Christ, the obedient one, who took upon himself the full measure of God’s wrath as he showed his justice so that at once he is both righteous and the one who declares sinners to be righteous, that is sinners who entrust themselves to Jesus Christ (Rom 3:21-26). God’s verdict of justification (i.e., forgiveness of sins) is biblically conceived as God’s verdict that issues from his judgment of sin. 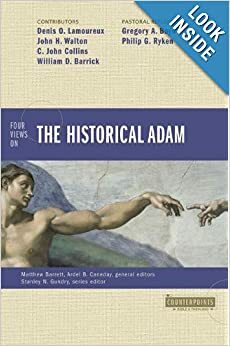 Justification is essentially eschatological; it derives its meaning from the judgment that God has appointed for every human at the end of the age. Thus scripture repeatedly turns the believer to the coming Day of Judgment as it appeals to us to Christian obedience and faithfulness (Matt 12:36, 37; Rom 2:13; Gal 5:5; 2 Tim 4:7, 8). The whole New Testament accents a focus upon the Day of Judgment as the day of redemption (Luke 21:28; Rom 8:23; Eph 1:14; 4:30), as the time of adoption as God’s children (Rom 8:23), as the point of entrance into eternal life (Mark 10:30; Luke 18:30; Rom 2:7; 6:22; Gal 6:8; Jude 21), as the day when salvation will be ours (Rom 13:11; Phil 2:12; 1 Thess 5:8, 9; Heb 1:14; 9:28; 1 Pet 1:5, 9; 2:2), as the giving of the crown which is life (James 1:12; Rev 2:10) and righteousness (2 Tim 4:8). A wide range of imageries direct us to focus fully upon the Last Day as the time that we will be found not guilty but be found in Christ Jesus (Phil 3:9; e.g., cf. the race imagery). The scriptures focus our attention upon the fact that the salvation promised to us in the Last Day is “not yet” ours as they exhort us to persevere in holiness and righteousness, to hold fast to Jesus Christ. While this “not yet attained” (Phil 3:12) perspective upon our salvation is universally present in the New Testament, it is not the only perspective that we need to lay hold of. “Already” in the “present time” God has revealed his righteousness (Rom 3:21ff) and has begun his good work (Phil 1:6) by calling rebellious sinners through the gospel to believe “in him who raised Jesus our Lord from the dead” (Rom 4:24). It is to those who believe in the God who “gives life to the dead and calls things that are not as though they were” (4:17), in imitation of Abraham, that God credits righteousness (4:22f). The Day of Judgment has not yet come, but rather God has graciously revealed his righteousness through the gospel (Rom 1:17), for the gospel announces that God’s obedient son, Jesus Christ, has already appeared in the flesh (Rom 1:3f) and has already borne God’s wrath for us as he became a sin offering (Rom 8:3). Thus, God has already rendered his judgment for sin in Christ at the cross. The cross of Christ brought to light God’s Day-of-Judgment verdict by executing judgment for sin in the present time in the sacrifice of his unique son. The eschatological gift of righteousness (Rom 5:17) is given in Christ Jesus (3:24). For since God has revealed the verdict of his judgment in advance of the Last Day (John 3:19), whoever believes in Jesus Christ, the one who has taken upon himself God’s condemning sentence of wrath, that one already stands not condemned in advance of the Day of Judgment. However, everyone who refuses to acknowledge God’s verdict upon sinners as announced in his gospel but rather continues to do evil, that person already stands condemned in God’s courtroom (John 3:18ff). This is so because God has disclosed ahead of time that acquittal in the Day of Judgment is irrevocably bound up with the sinner’s acknowledgment of God’s judgment of sin in Jesus Christ upon the cross. One who refuses to acknowledge God’s verdict as it is revealed in Jesus Christ will never be raised to eternal life but remains under God’s wrath forever (John 3:36). To believe in Jesus as God’s condemned sinner and criminal who took God’s wrath in our place as sinners is to be assured already that no condemnation but only acquittal will be ours when we stand in God’s courtroom in the Last Day (John 3:18; Rom 5:1; 8:1). Therefore, as far as the believer is concerned, the verdict of God’s judgment is already in; it is acquittal (Rom 5:1; 8:1, 30-34). Precisely because God in Christ has rendered his judgment for sin at the cross, the believer may, with resolute confidence, face the entire future, for since Christ Jesus died and was raised to life, there is no one in all earth and heaven who can successfully prosecute the believer in God’s court (8:33ff; cf. John 3;18; 5:24). Not only has God’s judgment, already rendered in Christ at the cross, function to give believers such confidence now to face the Day of Judgment, but we are also assured that God who has already begun his good work of restoring us into his image will surely renew us to reflect fully the likeness of his Son, Jesus Christ (Rom 8:29f) who is the last Adam (1 Cor 15:45ff), the Creator of the “new man” (Col 3:10). Furthermore, on the basis of God’s judgment already rendered in Christ at the cross, the scriptures not only assure us that God’s work of restoration will be invariably and fully realized (Rom 6:5), they also exhort us to become what we already are in Christ (6:11ff; 12:1ff; Col 2:6; 3:9ff; Eph 4:20ff; 1 John 3:1-2). Yet, though divine judgment against sin is already rendered in Christ at the cross, the New Testament never relinquishes the Old Testament Judgment-Day-orientation concerning justification; justification remains the eschatological verdict of acquittal. Therefore, scripture exhorts us to fasten our gaze upon the Day of Judgment in hope that we shall receive the promised salvation (Rom 8:23-25; 13:11-14; 1 John 3:2-3), promised to those who persevere to the end (Matt 10:22; Heb 1:14-2:4; 3:14; 6:1-12; 10:19-31; 12:14-17). This Judgment-Day-orientation is heard throughout the New Testament whenever the gospel of Jesus Christ calls people, whether believers or unbelievers, to heed its announcement of God’s gracious verdict in Christ. God’s voice in the gospel appeals to all with a range of exhortations and admonitions. Consider these: “strive to enter through the narrow door” (Luke 13:24); “overcome” the world (Rev 3:21); “hold fast the word” (1 Cor 15:2); “do not grow weary in doing good” (Gal 6:9); “persevere in doing good” (Rom 2:7); “remain in Christ” (John 15:5; 1 John 2:28f); “forgive others” (Matt 6:14). Every one of these admonitions has in view eternal life as the thing we are to gain as the outcome of obedience to the gospel. This Judgment-Day-orientation is also the basis for threats or alarms addressed to all people, especially to all who profess to be Christians, whether baptized or not. The threat of judgment and of condemnation is universally present in the New Testament. 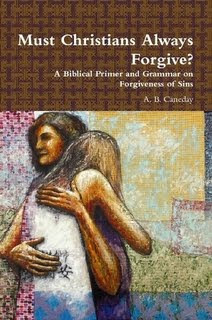 We are repeatedly warned against neglecting to forgive others (Matt 6:15), indulging the flesh (Rom 8:13), being cut off from the covenant of promise (Rom 11:22), putting confidence in the flesh (Gal 5:4), disowning Christ (2 Tim 2:12), neglecting God’s great salvation (Heb 2:3), falling away from Christ (Heb 6:4-6), deliberately sinning (Heb 10:26ff), missing the grace of God through bitterness (Heb 12:15), subtracting from scripture (Rev 22:19), and many other similar warnings. This reasoning is fundamentally flawed. It presumes that since eternal life, salvation, and justification before God in the Last Day are already ours. It presumes upon God’s promise in the gospel that they all are irrevocably ours apart from heeding the conditions of the gospel as if deliverance from every snare and conquest over every obstacle that lies between the present and the Last Day is ours apart from obedient perseverance. Such a view collapses the not yet consummation of God’s salvation into the already realized aspect so that there is no need to persevere in obedience to Christ in order to attain the promised salvation. People who adopt such a view of things have fallen into the same presumptive error that Paul endeavors to correct when he rebukes the Corinthians: “So then, you who think you stand, watch out lest you fall!” (1 Cor 10:12). The call of the gospel is always to persevere in faith and not to presume upon God’s grace. The exhortations that call us to endure in good deeds and the warnings that appeal to us lest we fall away from Christ function, not to cause us to doubt our justified standing before God in Christ, but rather to elicit steadfast obedience which is faith’s authentic behavior (cf. Rom 1:5; 6:16-17; 16:25-26). Thus, they establish by the Spirit bold confidence that we who obey the gospel are precisely the ones to whom the promise of justification unto eternal life is given. The gospel’s call to persevere in obedience is in full agreement with the gospel’s promise of justification unto eternal life and salvation. The promise of righteousness before God is to those who, like Abraham, do not waver in their belief in the God who “gives life to the dead and calls into existence things that formerly did not exist” (4:17). It is to this kind of faith, persevering faith, that God credits righteousness (4:22f). The gospel promises eternal life “to those who by perseverance in doing good seek glory and honor and immortality” (Rom 2:7). The hope of salvation held out to us in the gospel becomes ours by persevering through tribulations, for perseverance yields character that is proven which assures us of the thing for which we hope (Rom 5:3-5), namely deliverance from God’s wrath that will come upon all who disobey the gospel (Rom 5:9; cf. 1 Thess 1:9-10; 2 Thess 1:6-8). Therefore, as the gospel continues to appeal to us all throughout our earthly pilgrimages, it frames the call in keeping with the way the promise is cast. As the gospel’s promise is conditional, so the gospel expresses its exhortations and warnings conditionally. If the gospel promises—“Whoever overcomes will be clothed in white garments, and I will not erase that one’s name from the book of life, and I will confess this one’s name before my Father and before his angels” (Rev 3:5)—it is only proper that the gospel should use the conditions of the promise to exhort us to overcome and to warn us against slacking off and failing to attain the promised salvation. If the gospel promises that God will reward faithfulness to Christ unto the end with eternal life, it is entirely right that the gospel should exhort us, “Be faithful until death, and I will give you the crown which is life” (Rev 2:10). The gospel’s threats against failure lest we lose eternal life and its admonitions for us to persevere in order to attain salvation function to emphasize the inseparable connection between perseverance in holiness and attainment of salvation. The gospel inseparably links by obedient and persevering faith the attainment of what we have not yet received with what is already ours. According to the gospel, on the Day of Judgment there will be no admission into God’s kingdom for anyone who has failed to do “the heavenly Father’s will” (Matt 7:21). Furthermore, in this passage Jesus makes it abundantly clear that our election to be God’s children will be demonstrated at the judgment only by doing “the heavenly Father’s will.” For apart from works of obedience, Christ the Judge will disown those who presume that election theirs because of religious activity. He will disown them with the eternally resounding words, “I never knew you!” (Matt 7:23). The scriptures provide examples of some who apparently had a good beginning in the gospel but failed to persevere (cf. John 6:70; 17:21 Tim 1:19; 2 Tim 2:16ff; 4:9f). This apparently good beginning is even described with the verb “believe” (cf. Luke 8:13f; John 2:23-25; 8:30ff). However, the scriptures indicate that those who fail to persevere in belief are not examples of God’s failure to preserve them unto the salvation to be revealed in the Last Day (1 Peter 1:5). Rather, they are examples of people who failed to believe and thus failed to be saved (cf. Heb 10:39). They are examples of people who loved this world more than they loved Christ. Just as Christ’s gospel calls for radical devotion to him that eclipses all other affections so that love for others looks like hatred (Mark 10:29-31; Luke 14:26ff), so anyone who begins to follow Christ but gives in to affections for things of the world is regarded as one who has failed to persevere. Scripture explains such failure of faith as a failure from the beginning. “They went out from us, but they did not really belong to us. For if they had belonged to us, they would have remained with us; but their going showed that none of them belonged to us” (1 John 2:19). We need to allow the various expressions of the gospel to function as scripture intends. Consider a passage such as 1 John 2:19. True as it is, we must not superimpose it upon exhortations and warnings to interpret them. What do I mean? To explain a warning, such as Hebrews 6:4-6, by appealing to the truth that people who fail to persevere were never really members of God’s people is to prejudice how one hears the warning. The tendency is to nullify the warning’s effect by treating it as if the thing warned against has already become a reality in the persons warned. That is precisely not the function of a warning. The function of a gospel warning is to keep those warned from doing the thing against which it warns. Therefore, the conditional “if” warnings and admonitions indicate a cause and effect relationship. The cause is not the effective cause or ground of one’s salvation with God. Rather, the cause is the instrumental cause or the cause of means. Thus, all gospel warnings and exhortations (whether an explicit or implied “if”) express the inseparable connection of the end with the appointed means. We who believe find that our justification and hope of standing justified in the Last Day is exclusively grounded in the obedience of Christ Jesus (Rom 5:19). At the same time, the gospel unequivocally affirms that our obedient faith, which was the condition called for initially by the gospel, is the necessary condition or means by which we shall finally be welcomed into God’s presence as justified and blameless (Col 1:21-23; Gal 5:1-5; Acts 13:43). Therefore, Christian obedience and holiness is not only the evidence of salvation or of authentic faith; obedience or perseverance in holiness is also the means or pathway that the gospel requires us to follow in order that we might enter into eternal life and salvation in the day Christ finally calls us heavenward (Heb 12:14; Phil 3:9-14; John 5:28-29). Obedience is not only the evidence that God has begun his good work of salvation in us (Phil 1:6) but it is also the means of salvation precisely because, according to the gospel, faith, repentance, obedience, and good works are inextricably bound together though distinguishable. So when the gospel calls upon us to do good deeds which are profitable (Titus 3:8; 1 Tim 6:17-19) or to forgive others (Matt 6:14-15) or to obey God’s commandments (Luke 18:19; 10:25-28), the gospel is commanding the activity of belief, the kind of belief that is required in order for anyone to be saved. What the gospel requires is obedience of faith (Rom 1:5; 16:26). All obedience is the obedience of faith so that only those who obey Christ receive his gift of eternal salvation (Heb 5:9). How can we affirm at once that “good works” are both the evidence and means of salvation without irremediably confounding the gospel’s proclamation of salvation by “grace through faith”? Wherever scripture exhorts us to ponder the coming judgment as an appeal to obedience, the formula that is invariably used states that we shall be judged according to our deeds: “Surely you will reward each person according to what he has done” (Ps 62:12; cf. Eccl 12:14; Matt 16:27 John 5:22-30; Rom 2:6; 14:10-12; 2 Cor 5:10; Rev 22:12-13). Nowhere does scripture say that God will judge us on the basis of our deeds; everywhere the formula is “according to our deeds” (kata ta erga autou, e.g., Rom 2:7). Were God to judge us on the basis of our deeds, every one of us would be condemned. But the gospel of Jesus Christ inseparably links together God’s one free act of acquitting sinners in both the already and not yet aspects. This linkage is drawn through the one obedient Man, Jesus Christ, for it is on the basis of his one obedient act that the many will be set in order as righteous (Rom 5:19). We who receive God’s abundant provision of grace and of righteousness through this one man already have this eschatological hope of being constituted righteous (Rom 5:17, 19). This hope of being made righteous is ours only through the kind of faith that Abraham exercised (Rom 4:17-25). Our hope is grounded in the fact that we are already declared righteous (Rom 5:1; 8:1). We who shall be constituted righteous are already declared righteous and are in process of becoming what we are (Rom 6:2-6). God’s verdict of righteousness, which is already ours on the basis of Christ’s obedience and not our own, is our assurance that in the Day of Salvation God will thoroughly transform us from the sinners we became through Adam’s disobedience to fully righteous people through Christ’s obedience. God’s power, which is the gospel, will invariably and finally transform us fully into the image of his Son just as God has predestined us to be (Rom 8:29) so that Christ’s one act of obedience will finally reverse the effects of Adam’s one trespass just as the gospel announces to everyone who receives the gift of righteousness. Consequently, without doubt, the basis upon which anyone can or will stand justified before God is Christ’s obedient act alone. Therefore, the gospel never announces that we shall be judged on the basis of our deeds but only according to our deeds. Paul’s gospel affirms two realities simultaneously. First, his gospel announces that we shall be declared righteous if we believe in the God of Abraham who raised Jesus Christ from the dead (Rom 4:22-24). Also, his gospel affirms that God will judge us according to our deeds (Rom 2:6) and will reward with eternal life only “those who by persevering in doing good, seek glory, honor, and immortality” (Rom 2:7). The reward is not earned, for the judgment rendered will not be grounded upon those deeds but upon one deed alone, namely Christ’s obedience. Rather, the judgment is rendered according to or in keeping with the deeds that the gospel requires and enables. So, God’s judgment in the Last Day is a judgment in keeping with our deeds precisely because his judgment will expose us for what we really are, obedient slaves of righteousness (Rom 6:16-18). We who are already justified find that our faith is already obedient (Rom 1:5; 6:16-17; 16:25-27), and we shall find that we are the ones who will pass through the judgment according to deeds and will be revealed to be God’s children (Rom 8:12-21), made in the likeness of our elder brother—Jesus Christ, glorified and made righteous (Rom 8:29-30; 5:19). In the day that has not yet come when God judges all humans, God will spare no one from his scrutinizing eye that looks for the thing that his powerful gospel has already begun. Only those who do the truth and come into the light already will, in the day, that has not yet come, be exposed by the same light to be the ones whose deeds have been done by God (John 3:21). The obedience of faith we are describing, which is necessary for justification in God’s heavenly courtroom, is not already a perfect obedience, for we all sin daily (Phil 3:12ff). Instead, it describes our basic life-orientation, so that our change of character is evident, though less than perfect. The imperfection of us as believers in this present age stands under the already but not yet eschatology of the New Testament. We believers already are cleansed, we already stand justified (1 Cor 6:11), but our salvation is not yet perfected or consummated and will not be until the Day of Salvation which is nearer now than when we first believed (Rom 13:11). Thus, we most certainly agree with Paul that we do not now nor will we ever in this present life consider ourselves to have already laid hold of perfection (Phil 3:12-13). We are not saying that anyone can or must live a sinless life or perfectly submit to the lordship of Christ in order to be saved. We are saying that the change of character, brought about by the gospel that is God’s power for salvation, is truly observable, significant, substantial, and necessary, but not perfect. Because faith that is neither obedient nor active is dead (James 2:17), and because repentance is necessary to receive God’s pardon for sin (i.e., justification), and because remaining in Christ by keeping his commandments (John 15:5, 10; 1 John 3:12, 24) are essential evidences that we are already God’s children (Rom 8:12-17; 1 John 3:1-2) and are necessary conditions to inherit the adoption that is not yet ours (Rom 8:18-25; 1 John 3:2-3), we should preach these things urgently to all in order that all may lay hold of God’s salvation in Jesus Christ. Scriptures never disparage good works. Instead, the gospel calls us to acknowledge the following: that good works are profitable for us (Titus 3:8), that being rich in good deeds is inseparably linked with laying hold of eternal life (1 Tim 6:18-19), that those who do good deeds will be rewarded with eternal life (Rom 2:7), and that only those who have done good deeds will be resurrected to eternal life in the Last Day (John 5:28-29). Never does scripture confuse “good works” with the kind of works that are contemptible to God (e.g., Eph 2:9; Rom 3:28; Gal 2:16; Titus 3:5). Rather remarkably, in precisely the same contexts where certain kinds of works are rejected, “good works” are praised (see esp. Eph 2:10; Titus 3:8). God is just, for he takes note of our good deeds and works of love (Heb 6:10) and will grant to us our inheritance in due time (Heb 6:11-12) in keeping with these deeds. “Good works” are precisely what God in Christ has brought forth in us, his “new creation.” God prepared our good deeds beforehand in order that they should be our pattern of behavior (Eph 2:10). We do good works from true faith (1 Thess 1:3). We accomplish good works only by the power of the residing Holy Spirit (Rom 8:9; Gal 5:22-23). We who do the “good works,” that God appointed for us, find no place for boasting as if we have produced them from our own strength or resources. The gospel plainly tells us that whatever good we do arises not from ourselves but from God who is at work in us. Both the desire to do good and the ability to accomplish the good we desire comes from God (Phil 2:13). Now this is not a disincentive to persevere but rather a strong incentive, for it is the basis upon which we are exhorted to “bring to an accomplishment our own salvation with fear and trembling” (Phil 2:12). Because our God is at work in us both at the level of desires and actions we who practice the truth are glad to come into the light of God’s verdict that it might be fully disclosed to all that our deeds have been done by God (John 3:21). With Paul, while we do labor in the deeds commanded by the gospel, we are pleased to affirm that all our labors that are called “good” originate not from us but from the “grace of God which is with us” (1 Cor 15:10). We openly confess our complete impotence to do any good out of our own strength and we candidly affirm with gratitude to our God: “all that we have accomplished you have done for us” (Isa 26:12). Though we may express surprise (Matt 25:37-39) in the Day of Judgment when the King will praise us for deeds of love done toward him, we will not begin to boast then. For after we have completed everything that we have been commanded to do, we will humbly say, “We are unworthy servants; we have only done our duty” (Luke 17:10). The inseparable linkage of faith and obedience and of being declared righteous and being made righteous is spanned by the gospel’s promise and by its incessant calls framed as warnings and exhortations. The gospel that promises salvation to all who obey its urgent call also marks out the pathway that will lead us from where we are already to the place of salvation to which we have not yet arrived. This, then, is the function of the many warnings and exhortations. Warnings function as signs that caution against the multitude of dangers that lie on every hand. Admonitions function as signs that point us to the right path as they exhort us to press forward in order that we may enter into God’s kingdom and inherit the life that has been promised (cf. Heb 6:12). The gospel that warns and exhorts is the same gospel that promises eternal life and provides the Spirit for us who enables us to obey the call of the gospel with all its appeals (Rom 8:1-12). The eternal life, for which we strive, and the promised Spirit, for whose fullness we eagerly hope, are already ours. Therefore, we are not left helpless to obey the gospel, but rather we obey the gospel only because it is the Spirit of God that already enlivens our mortal bodies with heavenly life; it is the same Spirit who enlivened Christ in his resurrection (Rom 8:11). It is only by this enlivening Spirit that we, then, can understand and heed the paradoxical call of the gospel: “if you live according to the flesh you will die; but if by the Spirit you put to death the misdeeds of the body, you will live” (Rom 8:13). It is this same Spirit, who in conjunction with enabling us to obey, also testifies with our spirits that we are God’s children (Rom 8:15-16). The Spirit of sonship does this only for those he leads in the path of righteousness. Spirit-given assurance is not restricted to what we already are (God’s children) but it also encompasses what is not yet ours (our inheritance). Thus, we are assured that we are not only on the right pathway but that we who have already been declared righteous will not be condemned by God at the close of this journey (Rom 8:31ff). The gospel assures us that we belong to God’s elect only as we adorn our faith with the Christian virtues that God’s Spirit is pleased to work in us (2 Pet 1:5-11). We assure our own hearts that we are God’s elect children only as we exercise obedient faith. Assurance that we are truly God’s children does not come to us by logical deduction; it is ours only as we walk the pathway of obedient faith. Assurance is not the happiness to be found at the end of the course; it is our divinely implanted joy that accompanies us in the journey itself. God promises that he will finish the good work he started (Phil 1:6). God also promises that nothing can separate us from Christ’s love (Rom 8:35-39), that all whom he calls and justifies will be glorified (Rom 8:30), that God will keep us from apostasy (Jude 24-25), that those who have eternal life will never perish or be snatched from the Father’s hand (John 10:28-30), that all those who are given to the Father by the Son will be raised on the Last Day (John 6:40), that the one who called us will establish us until the end so that we will be blameless in the day of Christ (1 Cor 1:8), and will sanctify us completely on the day of redemption (1 Thess 5:24). All these promises give us believers great assurance because we know that just as we did not initiate our salvation, neither can we sustain it apart from God’s grace. These promises assure us that God will complete what he started. They protect us from a paralyzing fear that looks within and sees no resources to persevere to the end. The gospel promises that God will grant the grace necessary to finish what he began. None of these promises, however, rules out the threats and warnings or exhortations and admonitions in the scriptures. Indeed, the gospel’s threats and warnings and the gospel’s admonitions and exhortations are means that God uses to see to it that the promise of perseverance will be realized in us. Christian assurance of salvation is not retrospective; it is prospective. It is not introspective; it is Christ-focused. The assurance that the gospel holds out to us does not focus our attention upon the beginning of salvation but upon its consummation. Furthermore, the assurance that the gospel calls us to embrace does not look within ourselves but away to Christ who is the prize to be won (Phil 3:8). Though the gospel does frequently appeal to past perseverance as reason for continued faithfulness to the end (e.g., “We want each of you to show this same diligence to the very end, in order to make your hope sure” [Heb 6:11]), assurance concerning the past is now passed. The kind of assurance the gospel gives is never content either with the past or with what we already are. Rather, the assurance that the gospel provides for us is of the essence of faith, for this assurance is “being sure of what we hope for” (Heb 11:1), namely confidence that we shall be what we are not yet –fully like Jesus Christ (1 John 3:2-3). This assurance is born out of faith that acknowledges that God “rewards those who earnestly seek him” (Heb 11:6). “Not that I have already arrived or have already been perfected, but I pursue it, if I also may lay hold of that for which I was laid hold of by Christ Jesus. Brothers, I do not yet regard myself as having laid hold of it. But one thing I do: forgetting what lies behind and straining forward to what lies ahead, I pursue the goal to attain the prize of the upward call of God in Christ Jesus. As many as are perfect, let us think like this. And if someone thinks differently, God will reveal this understanding to you also. Only let us live up to what we have already attained” (Philippians 3:12-16).